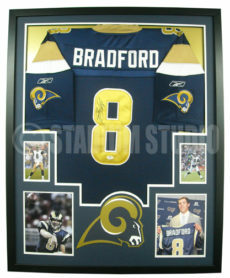 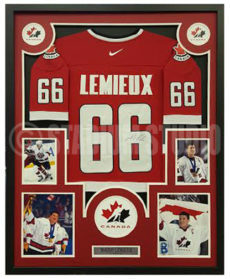 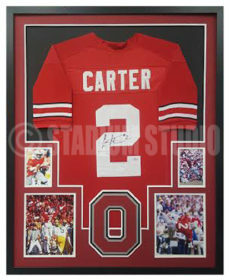 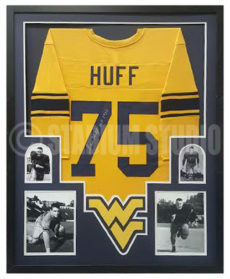 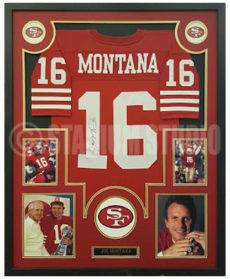 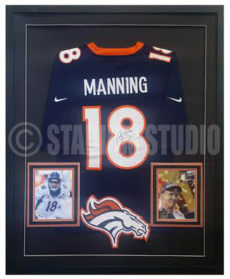 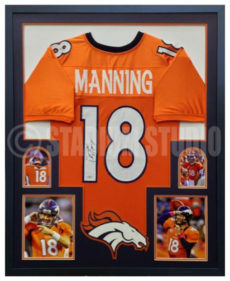 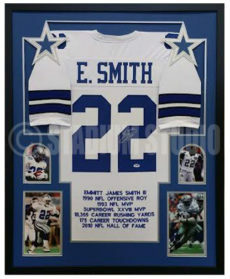 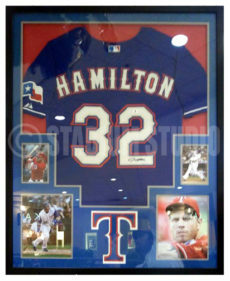 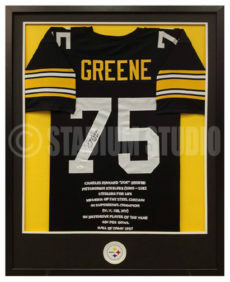 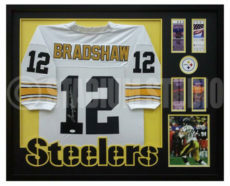 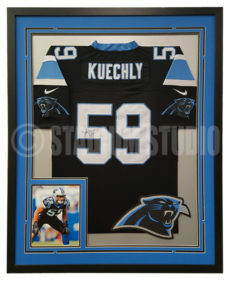 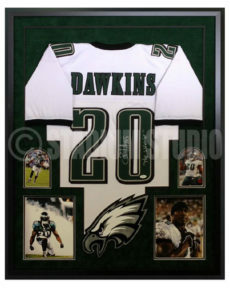 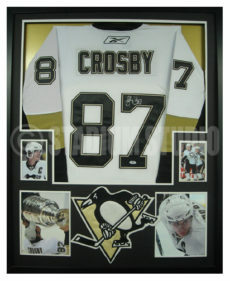 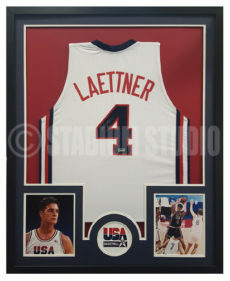 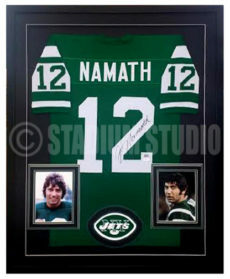 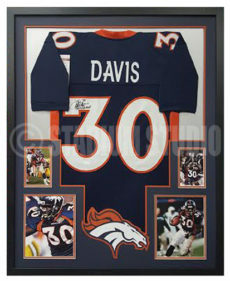 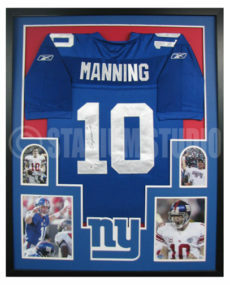 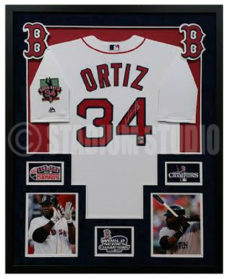 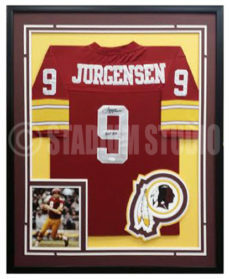 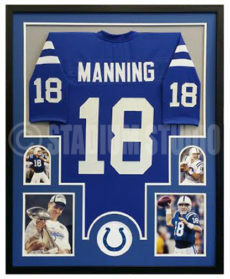 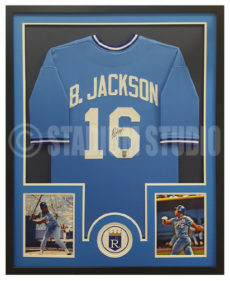 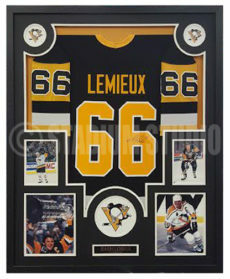 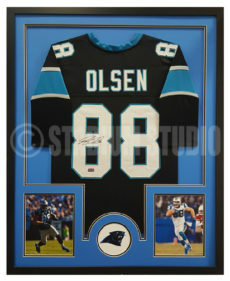 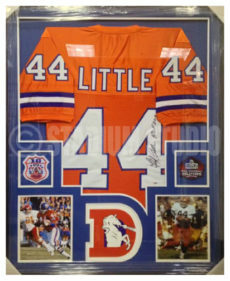 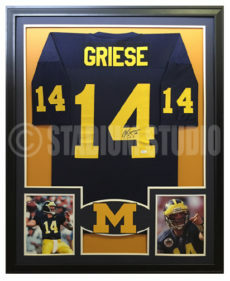 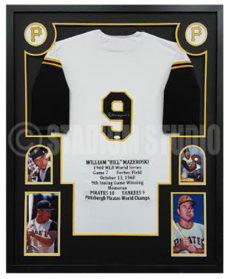 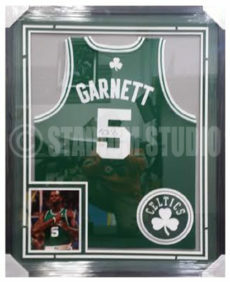 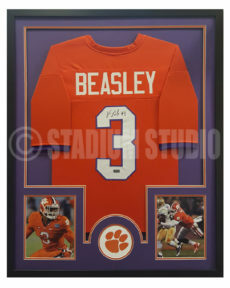 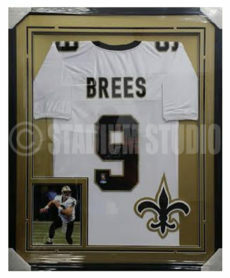 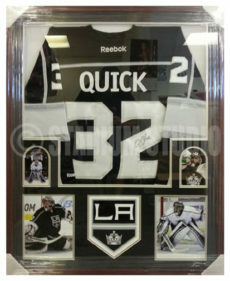 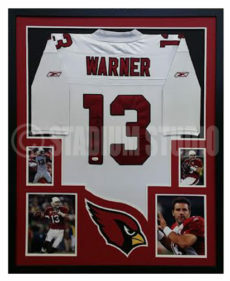 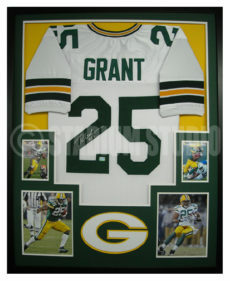 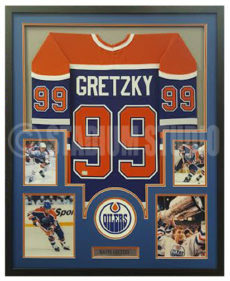 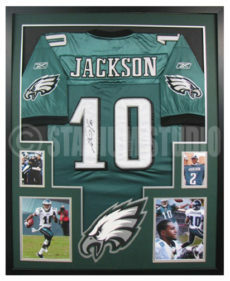 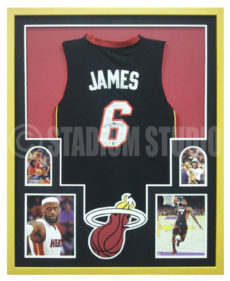 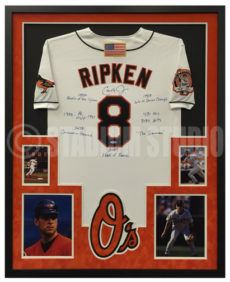 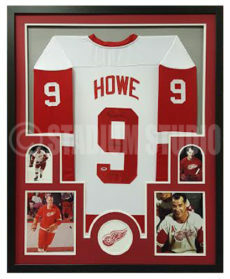 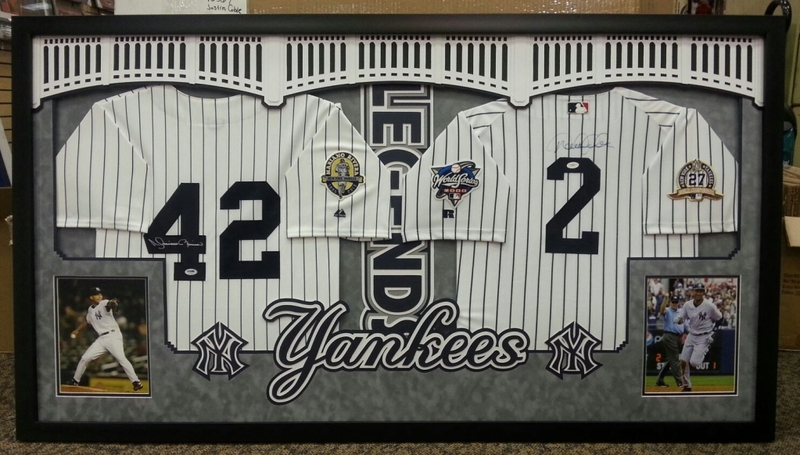 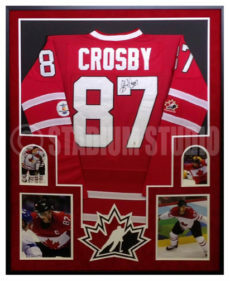 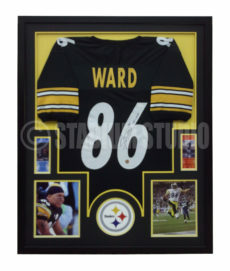 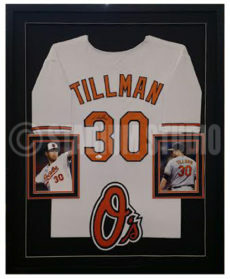 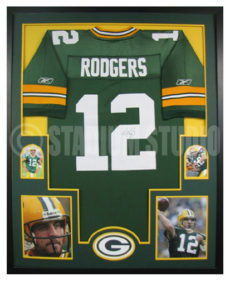 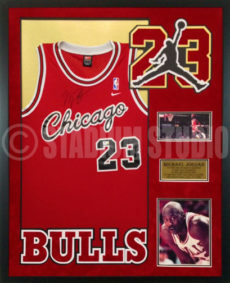 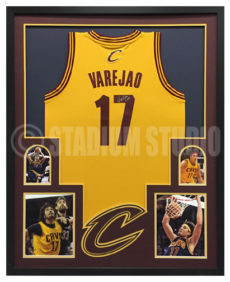 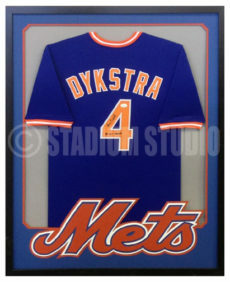 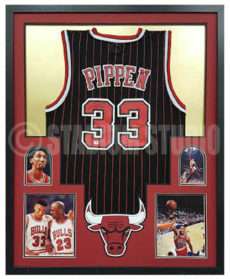 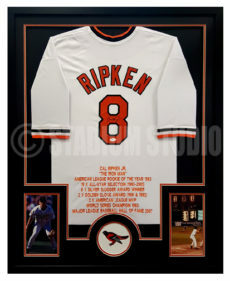 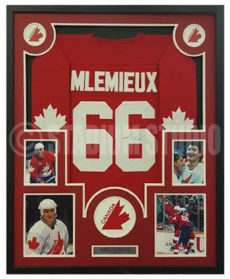 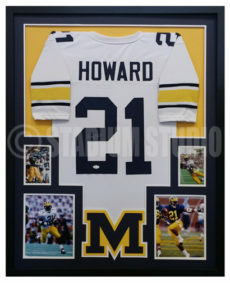 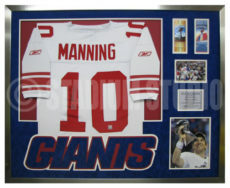 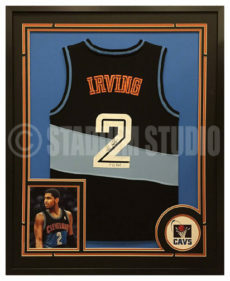 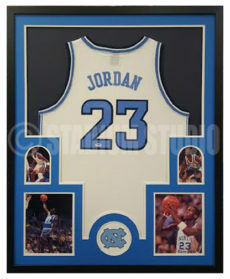 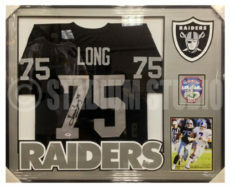 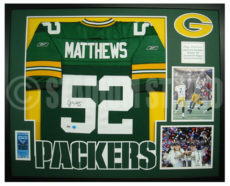 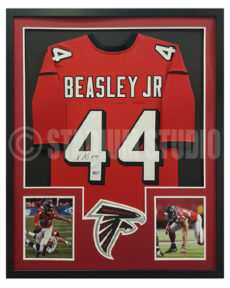 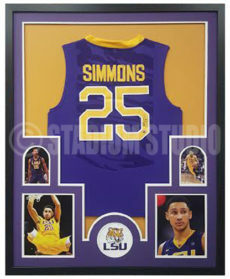 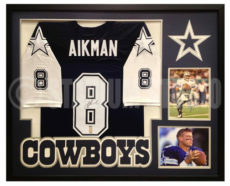 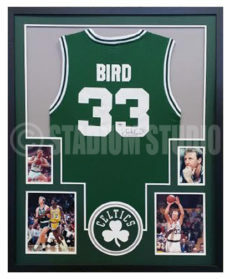 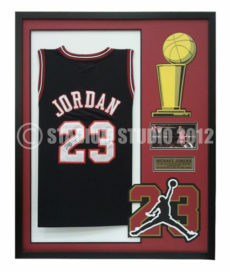 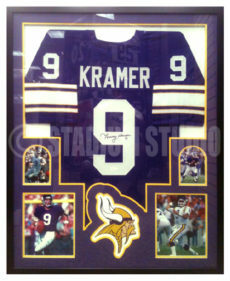 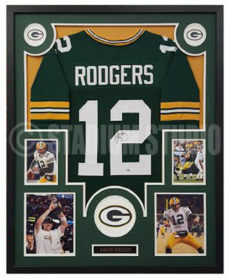 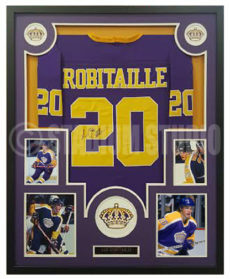 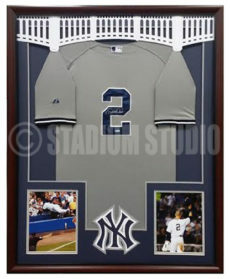 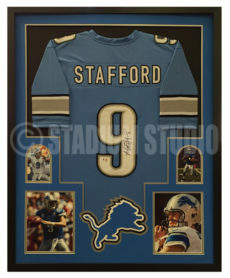 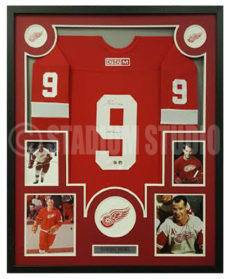 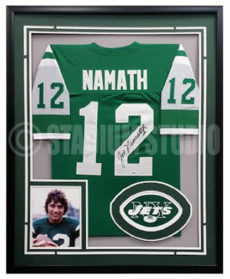 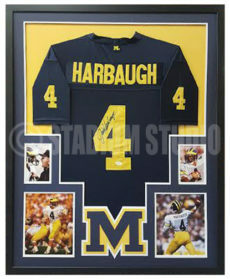 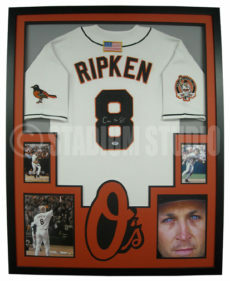 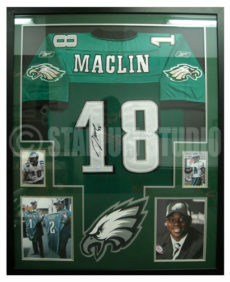 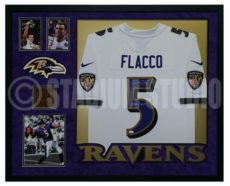 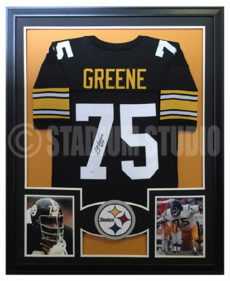 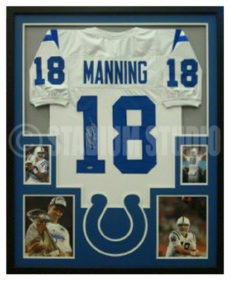 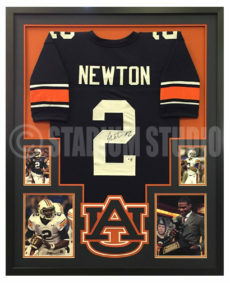 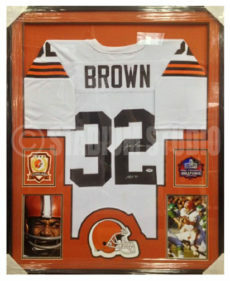 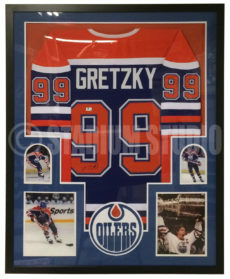 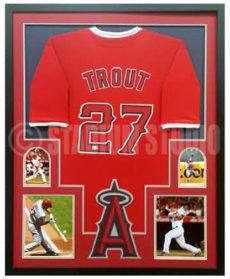 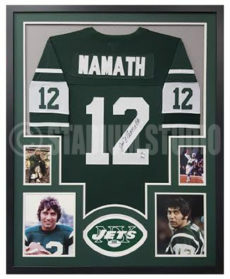 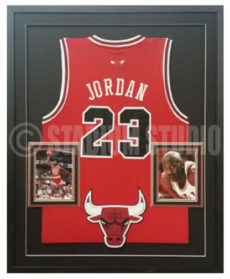 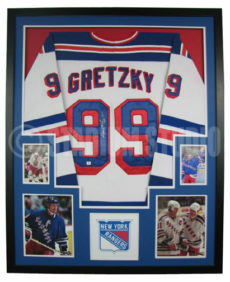 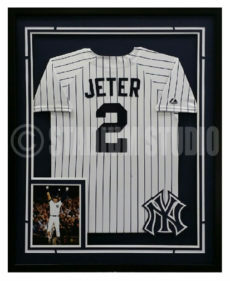 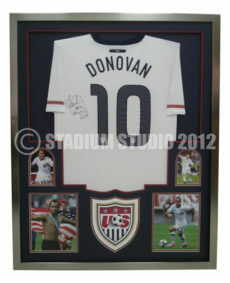 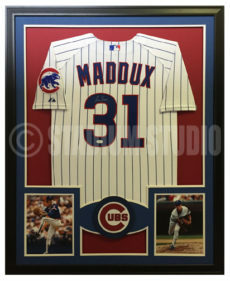 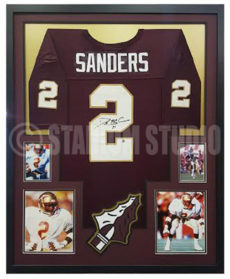 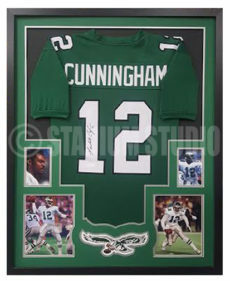 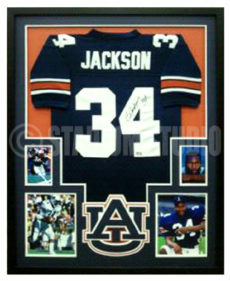 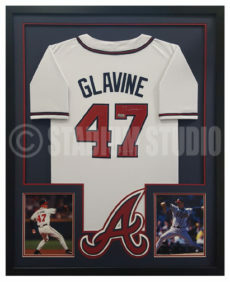 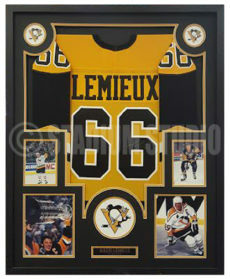 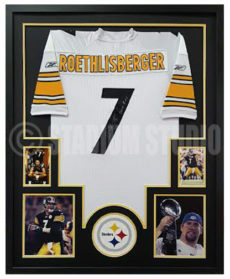 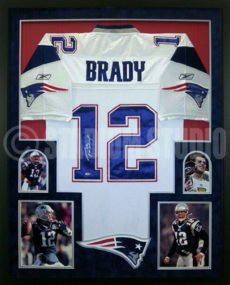 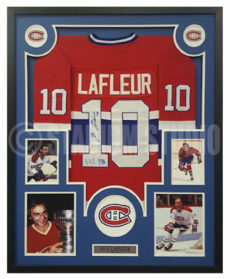 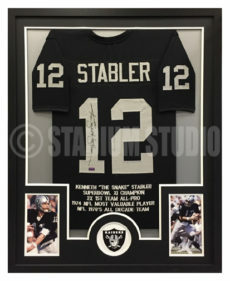 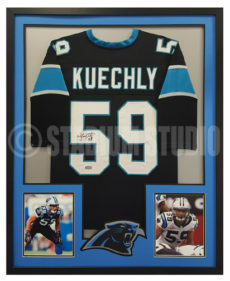 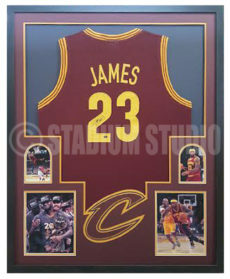 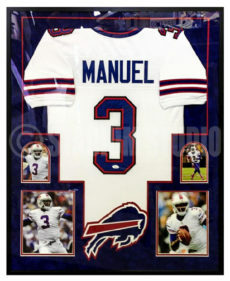 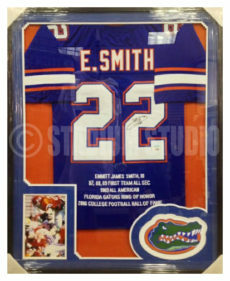 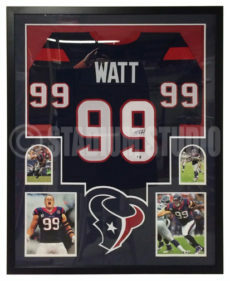 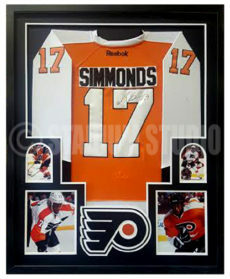 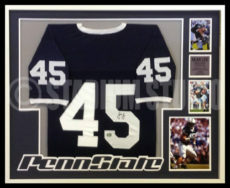 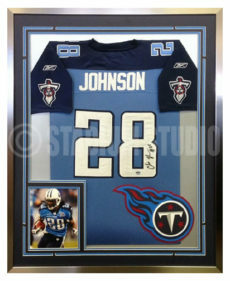 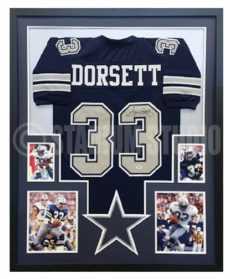 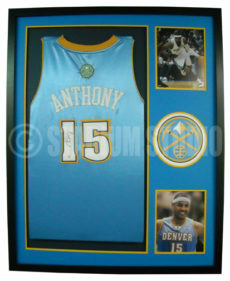 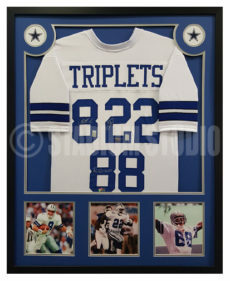 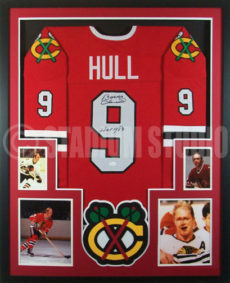 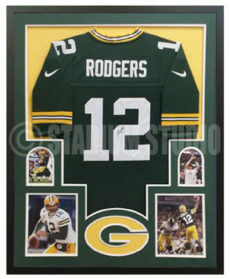 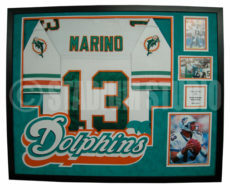 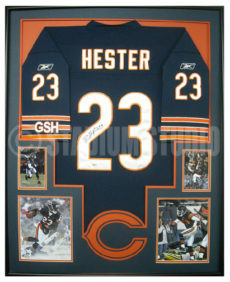 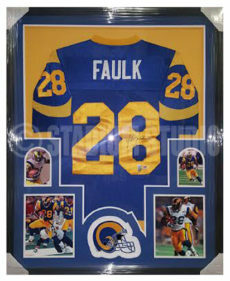 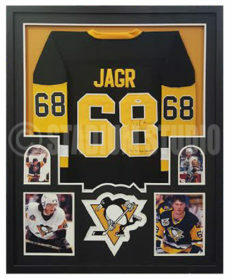 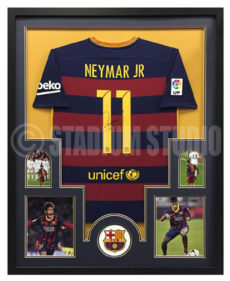 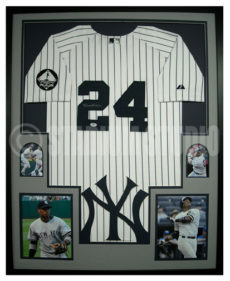 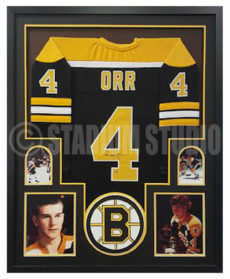 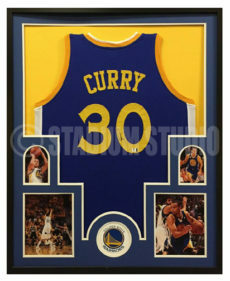 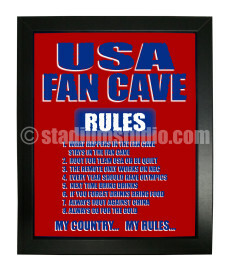 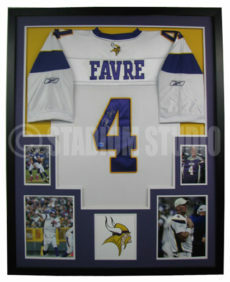 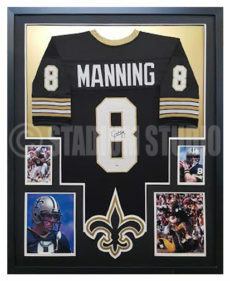 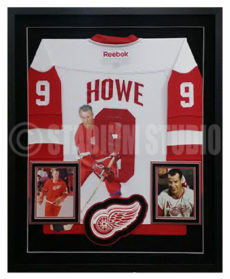 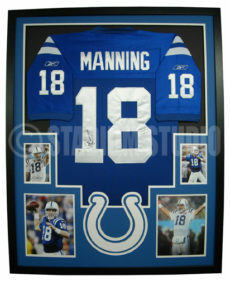 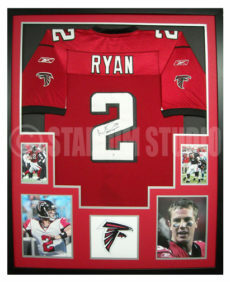 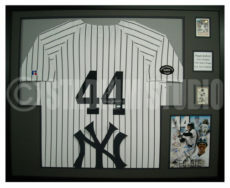 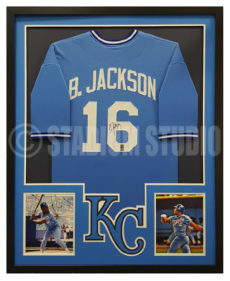 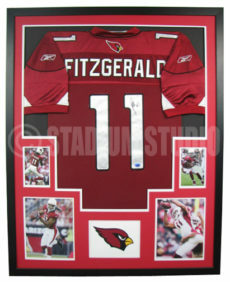 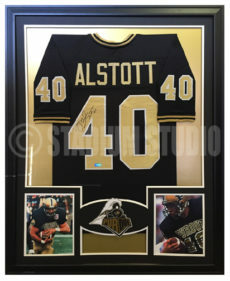 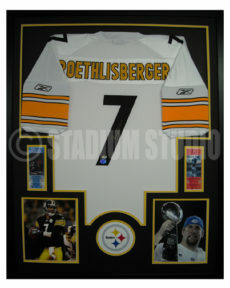 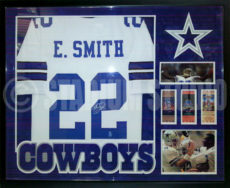 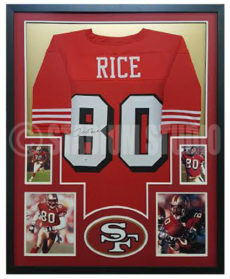 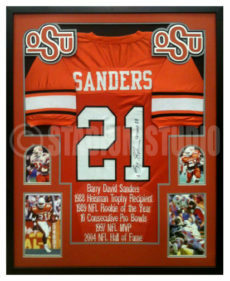 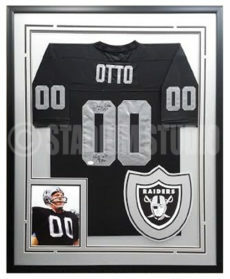 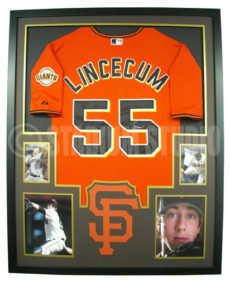 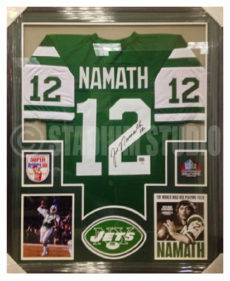 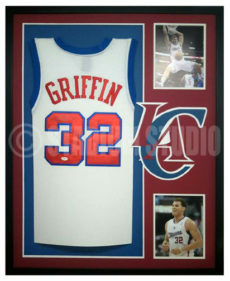 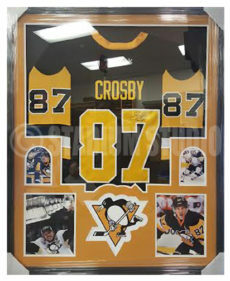 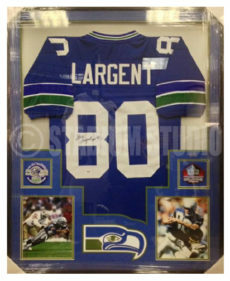 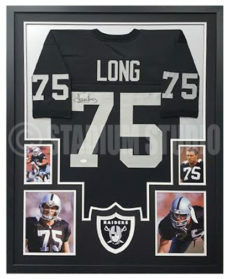 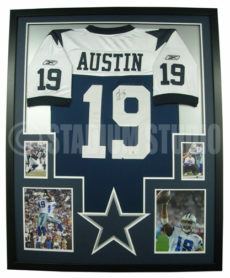 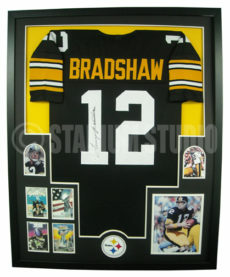 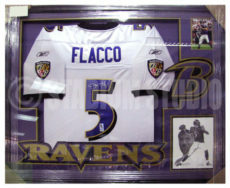 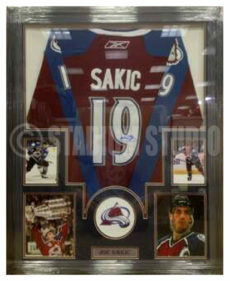 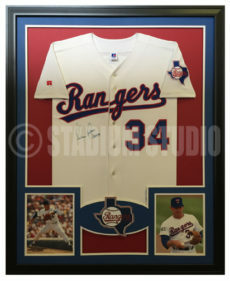 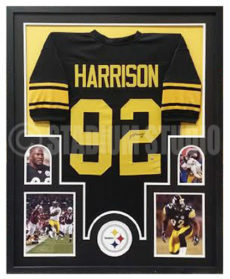 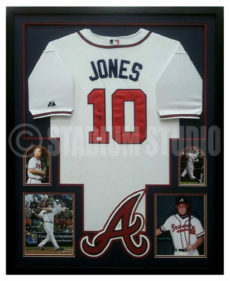 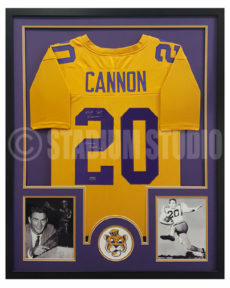 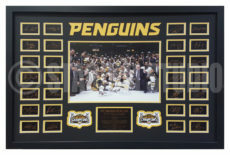 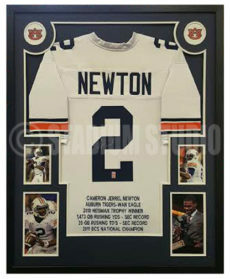 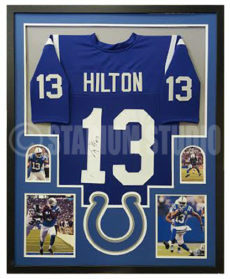 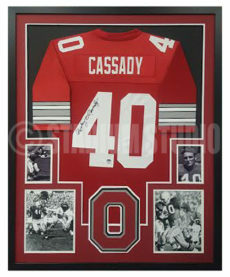 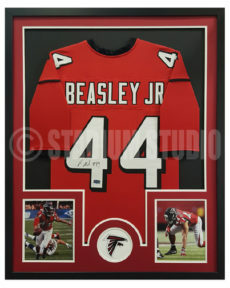 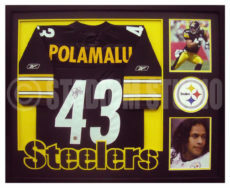 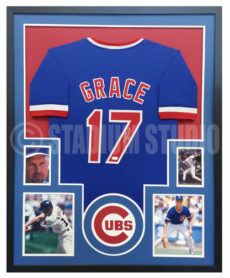 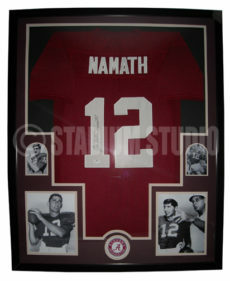 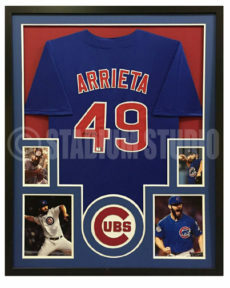 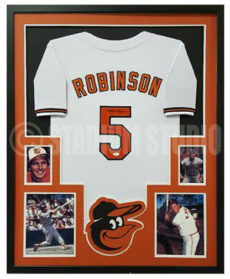 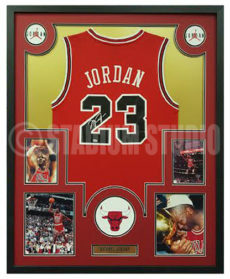 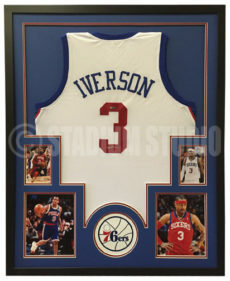 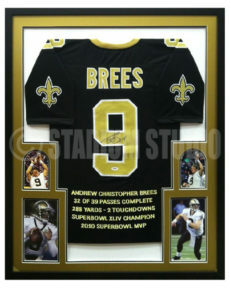 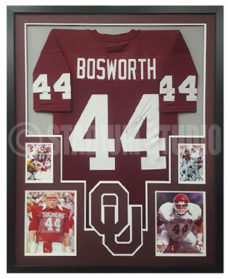 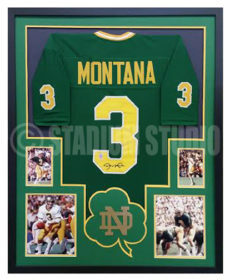 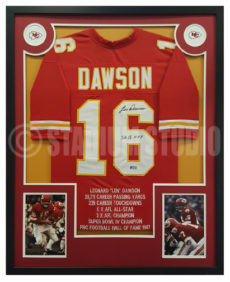 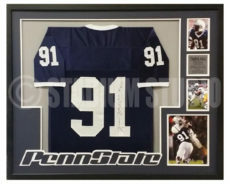 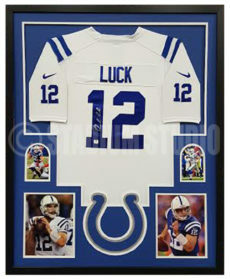 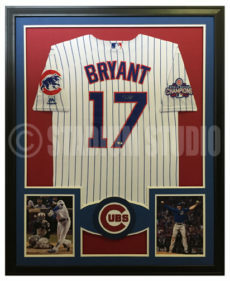 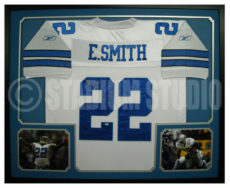 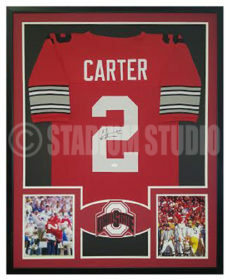 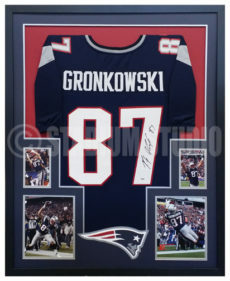 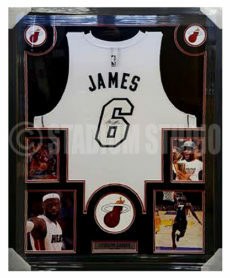 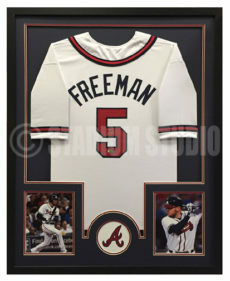 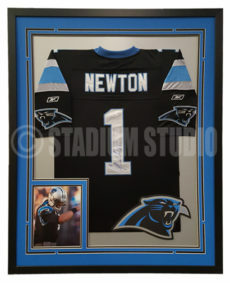 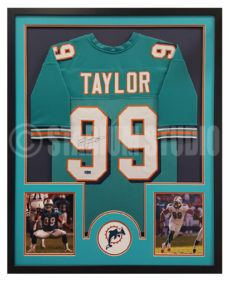 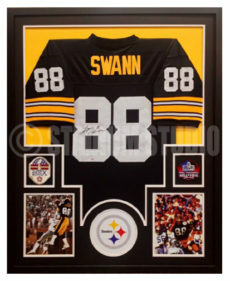 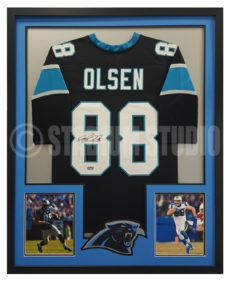 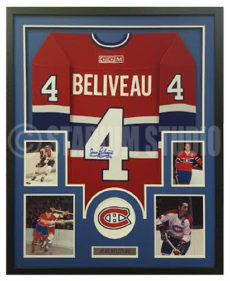 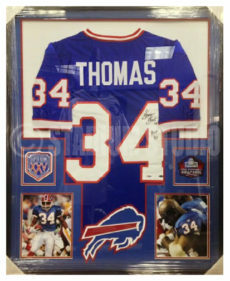 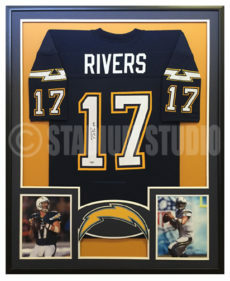 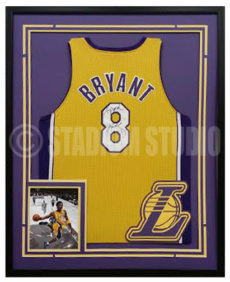 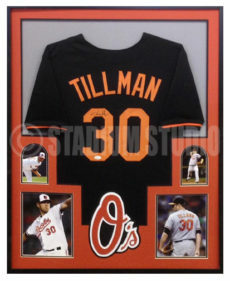 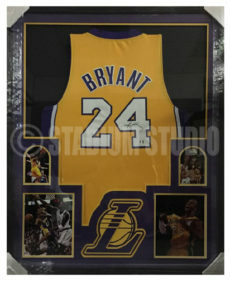 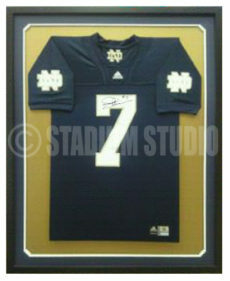 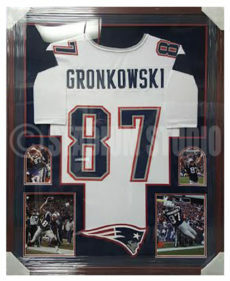 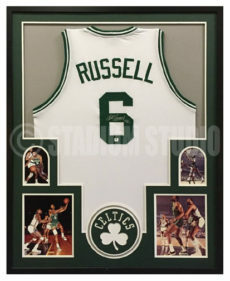 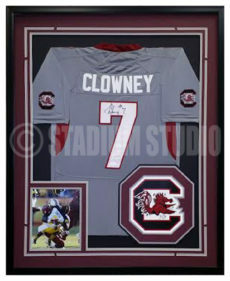 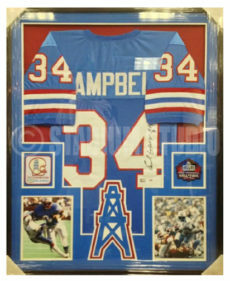 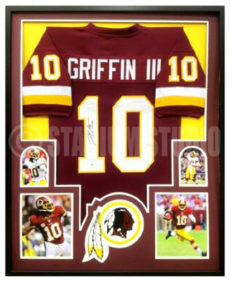 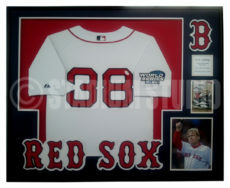 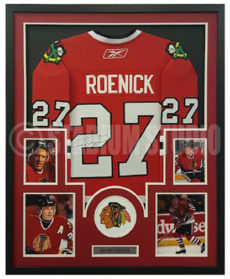 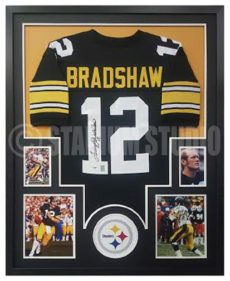 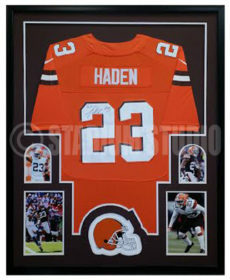 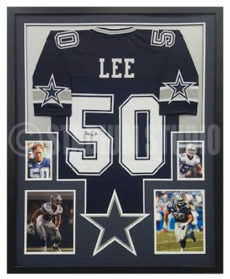 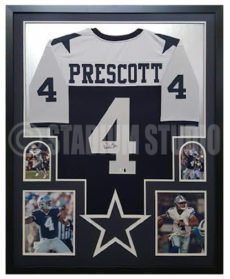 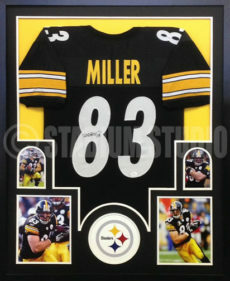 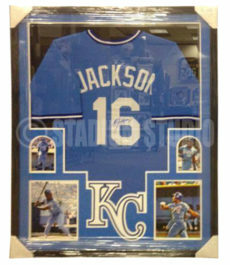 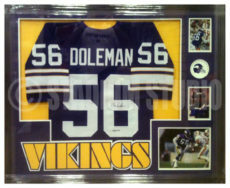 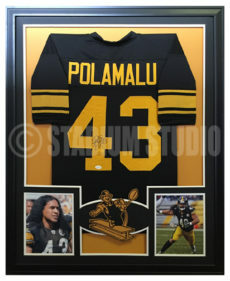 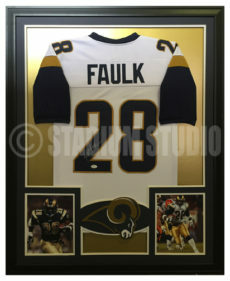 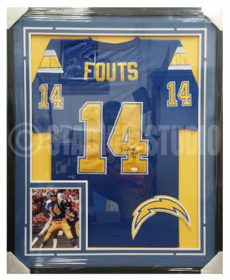 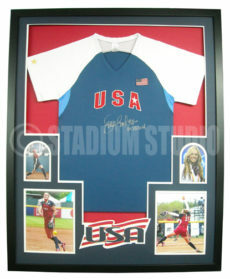 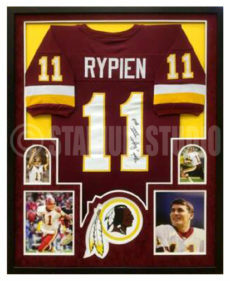 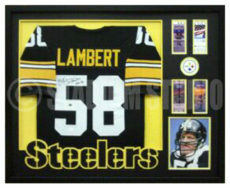 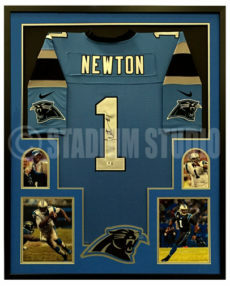 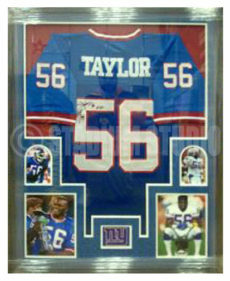 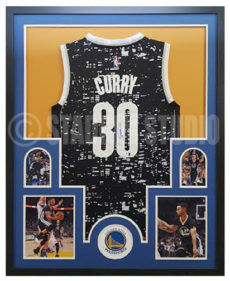 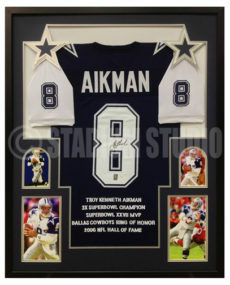 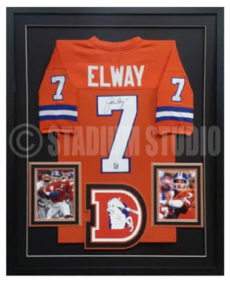 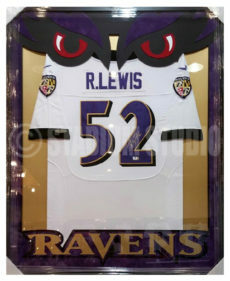 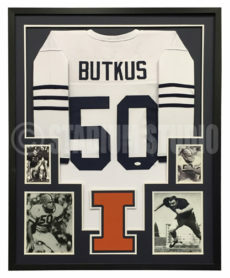 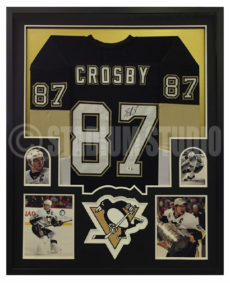 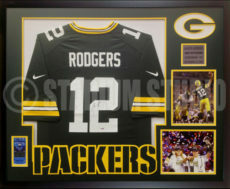 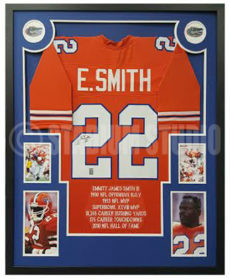 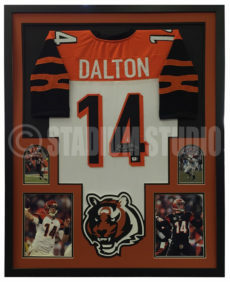 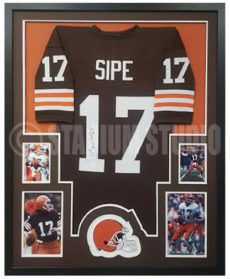 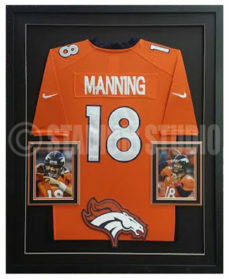 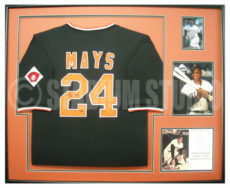 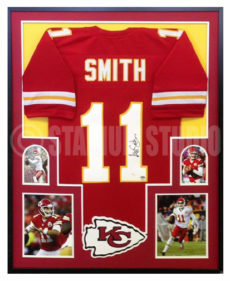 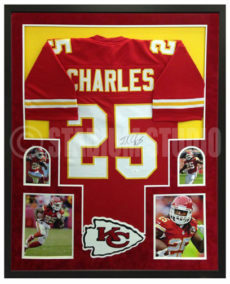 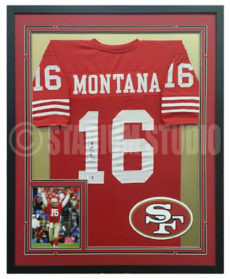 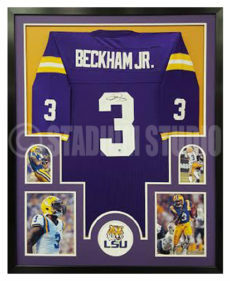 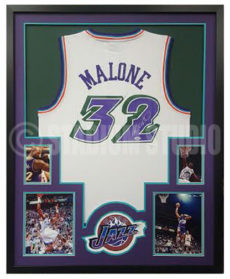 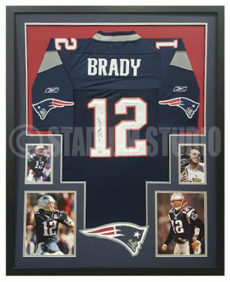 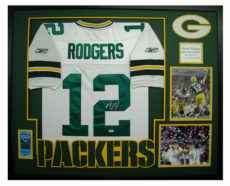 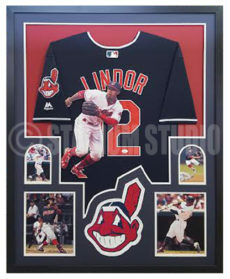 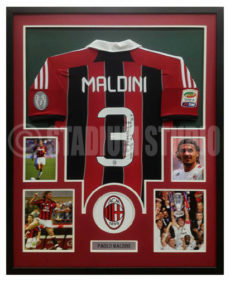 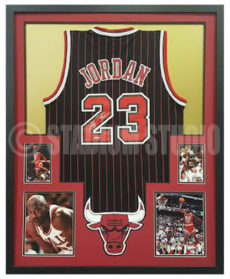 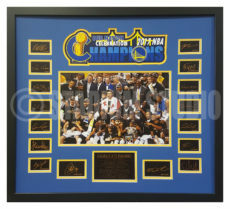 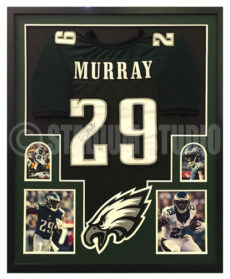 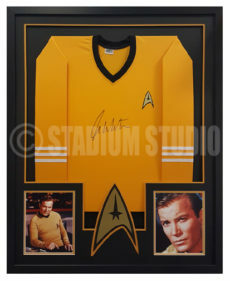 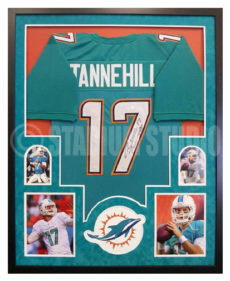 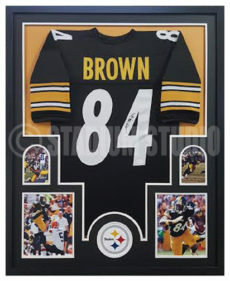 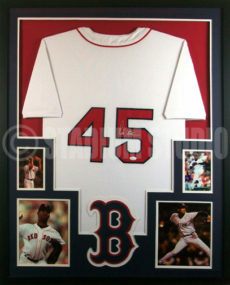 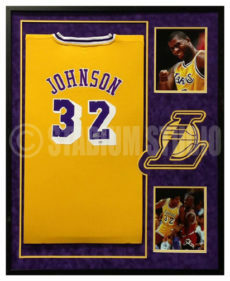 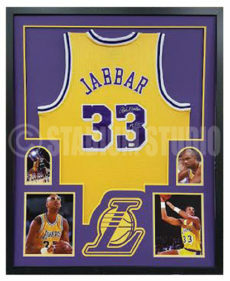 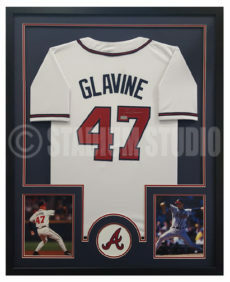 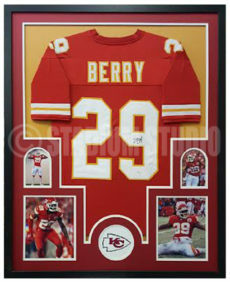 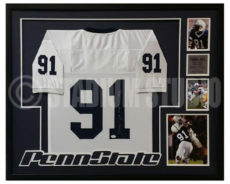 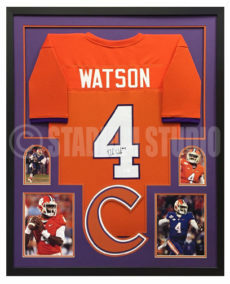 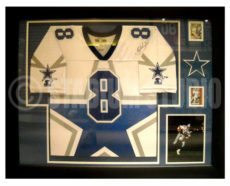 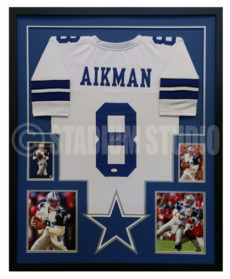 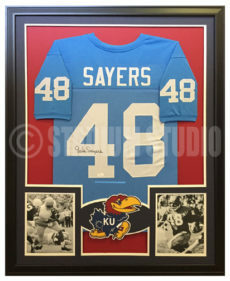 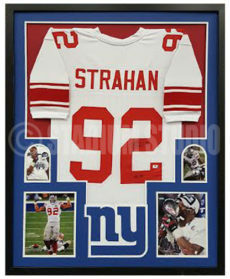 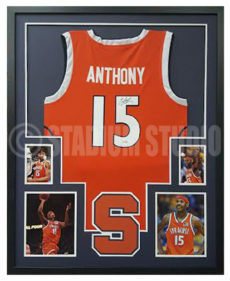 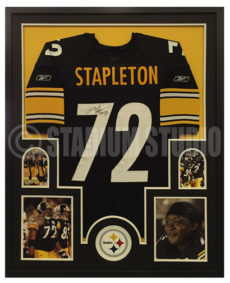 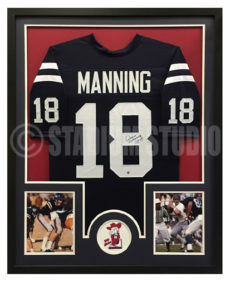 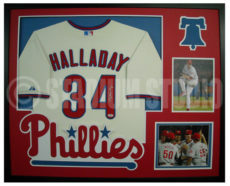 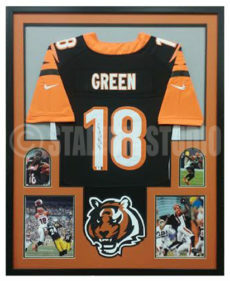 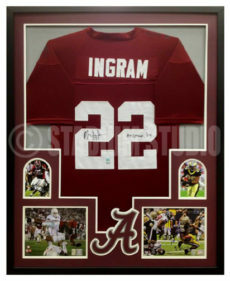 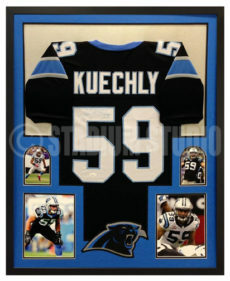 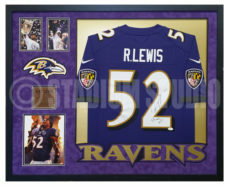 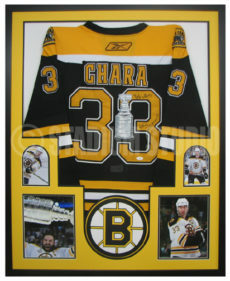 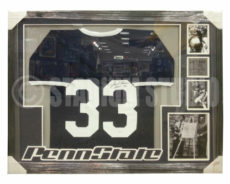 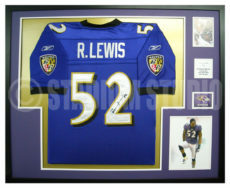 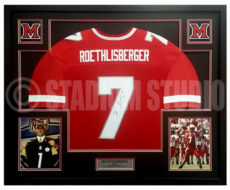 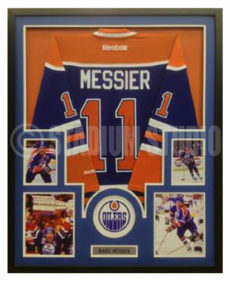 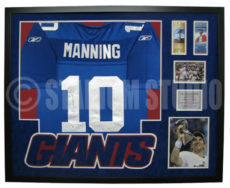 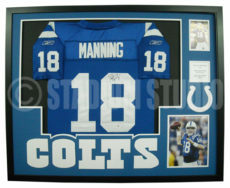 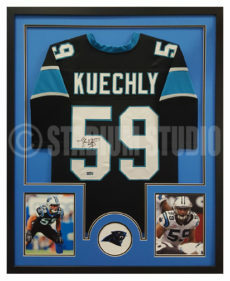 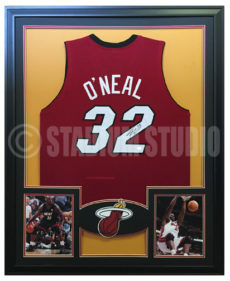 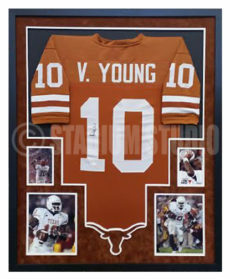 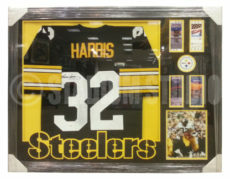 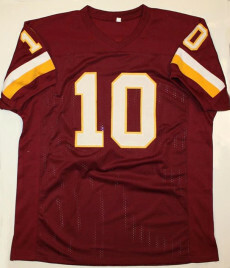 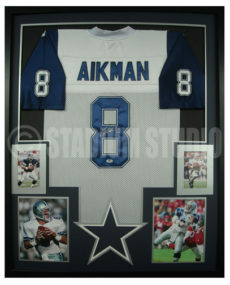 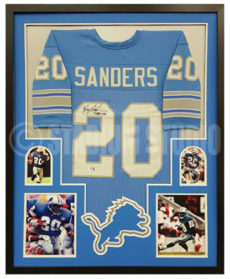 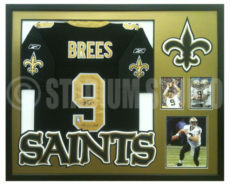 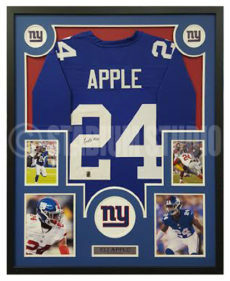 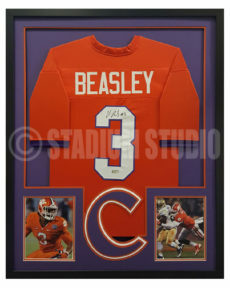 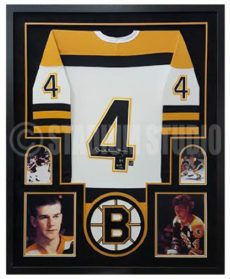 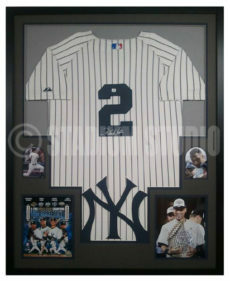 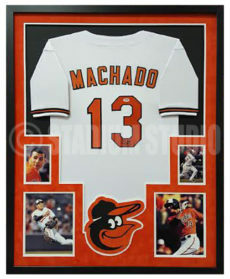 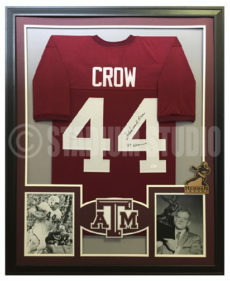 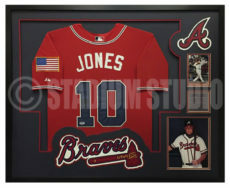 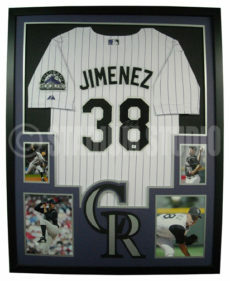 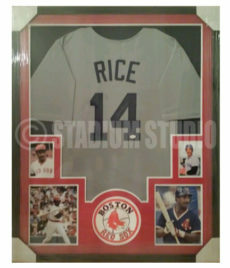 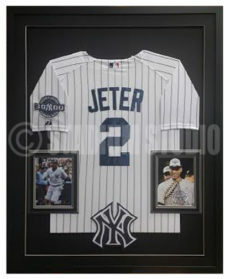 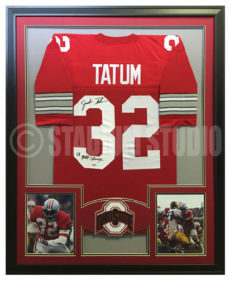 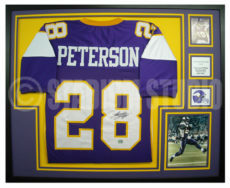 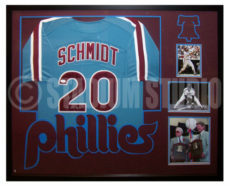 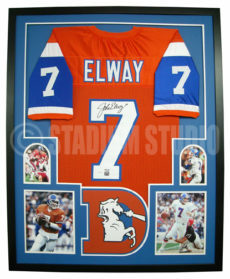 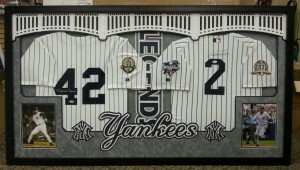 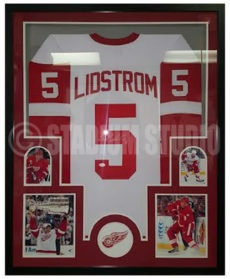 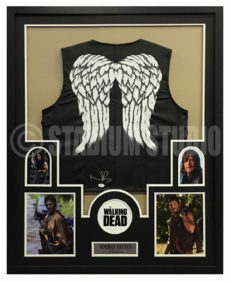 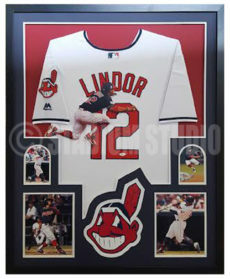 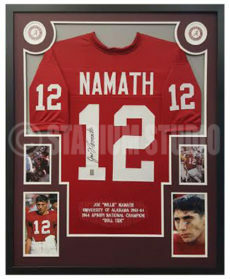 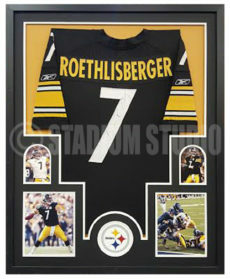 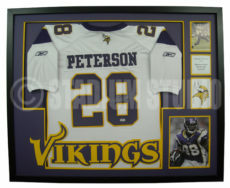 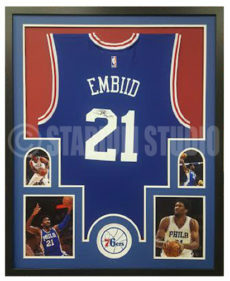 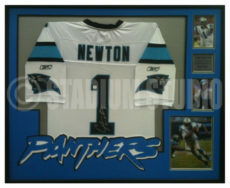 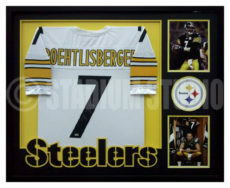 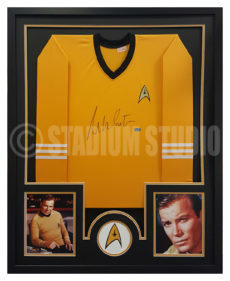 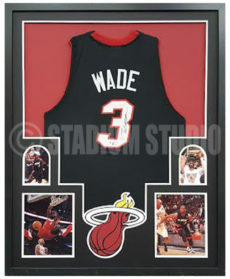 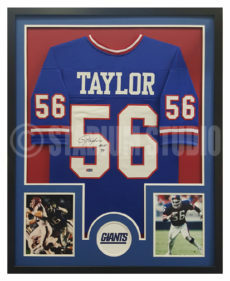 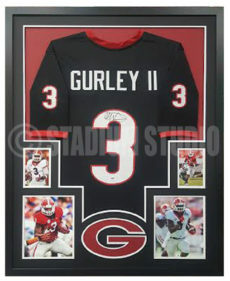 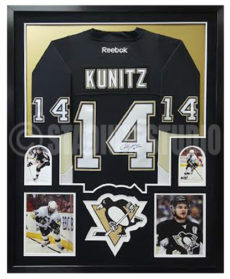 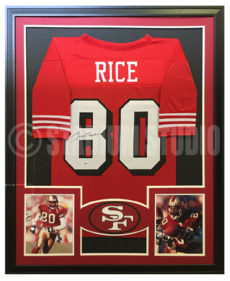 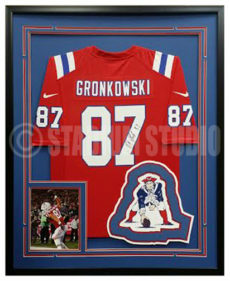 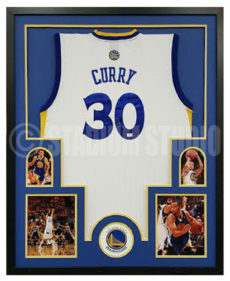 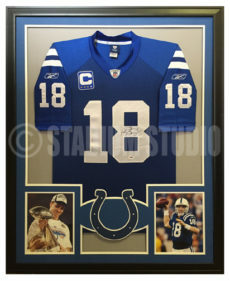 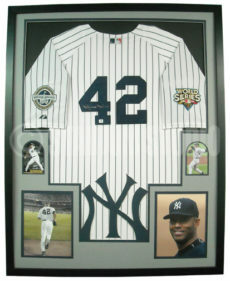 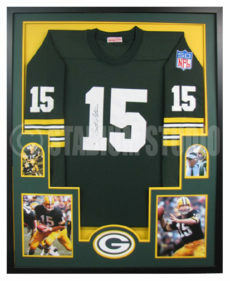 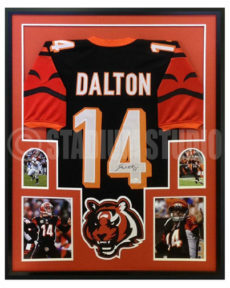 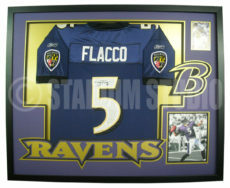 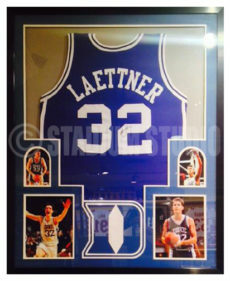 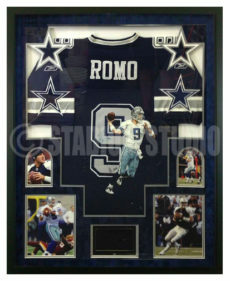 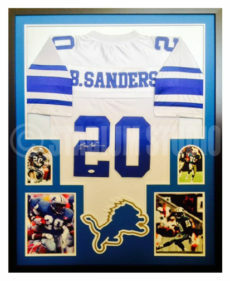 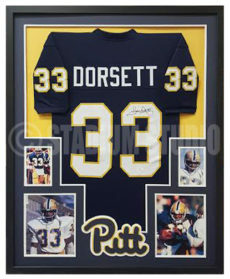 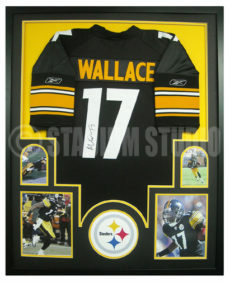 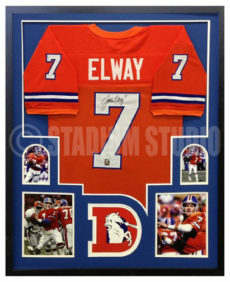 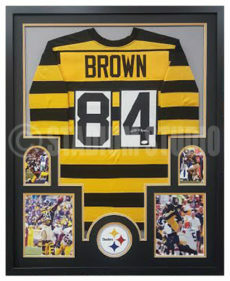 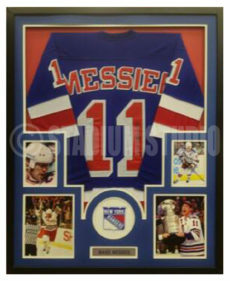 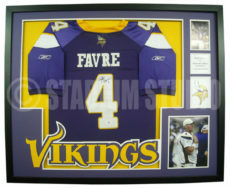 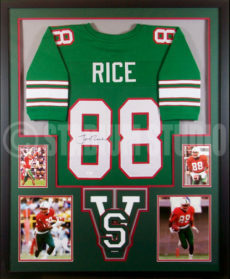 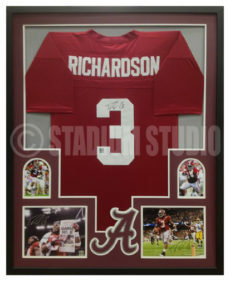 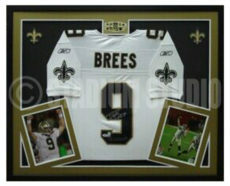 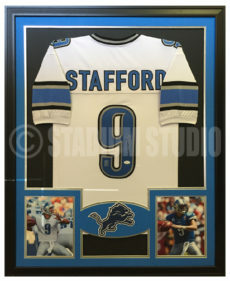 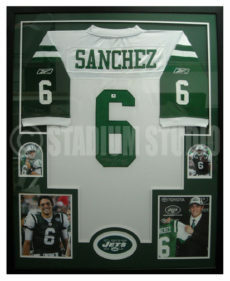 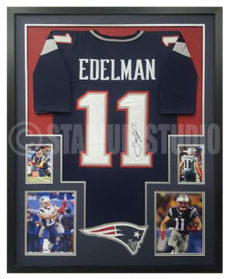 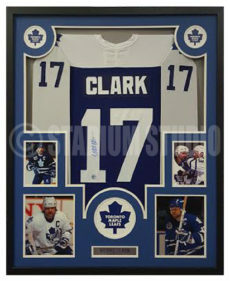 We are the premier provider of sports art, photos, memorabilia, autographed items, framed jerseys, and can also custom frame any jersey you have already. 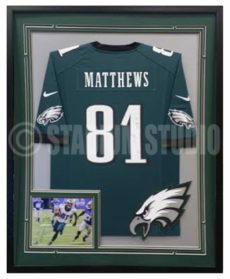 If you can think it we can do it, from putting video screens for highlights in a frame to doing custom shadowbox framing for larger items like cleats and helmets, we can handle it all. 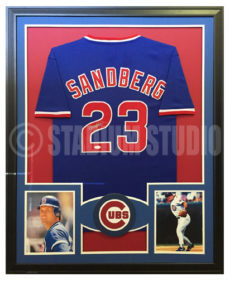 Take a look around and see what we have out already, and if you don’t see quite what you are looking for, send us an email and we can figure out the best way to get it done for you.